The Scrappin' Mama Studios: I'm not DEAD, but the LAST CHANCE list is out! I'm not DEAD, but the LAST CHANCE list is out! No I am not dead but my health has caused me to have a lot of up and down days so I appreciate your patience with me. But it is that time of year where the 'Last Chance' list comes out in preparation for the new catty to come out on July 1. Hundreds of products from the 2009-2010 Idea Book & Catalogue and Definitely Decorative brochures are retiring. Now is the last chance for you to get them before they're gone for good! These items on the Last chance list are only available until June 30, 2010 or until supplies run out ..
Last Chance list of Accessories has also been posted and this list will be updated as soon as the item or items are no longer available So Please check this list often . Act quickly because items sell out fast from the accessory list so if there is something you want from this list Act quickly . Last Chance items are all the products that will NOT be carried over into the new 2010/2011 catalog. The Accessory Last chance list will be while supplies last. The Decor Elements & Stamp set Last Chance Lists will be available until June 30, 2010. 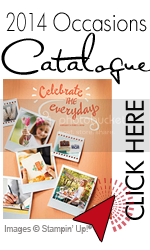 This limited-time kit contains over $220 of Stampin' Up! products and business supplies. None of the products in the Mini Starter Kit are retiring this year. PLUS...You will get a box of 2010-2011 Idea Book & Catalogs in July! All items below are recommended, but you can substitute a like item of equal or lesser value. Purchase your Starter Kit-there are three options! 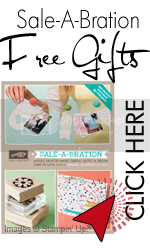 The $119 Mini Starter Kit contains over $220 worth of stamping and business supplies! The $269 traditional Starter Kit contains over $400 worth of stamping and business supplies! The $239 Digital+ Starter Kit contains over $385 worth of stamping and business supplies, including the all-new My Digital Studio™ software. You can purchase either starter kit on line at here , click on 'Start Your Own Business' on the top right hand side, then click on 'Join Now' in the left hand side, then just enter 'hafso' as the Recruiter Authorization Password to access the starter kit forms.